Windows 8 comes with new shutdown feature, which will not fully shut down the system, instead it hibernates the Computer to make the next boot fast. Generally Windows 8 have Hybrid boot to reduce the time taken to boot the system. Hybrid boot and hibernate is a different term. In traditional implementation of hibernation, PC takes everything that it have on RAM to the hiberfil.sys on your hard drive and on the next boot it boots from hiberfil.sys. So that you will get all your running apps and data on your next boot. But in Hybrid boot user session is not brought to the biberfil.sys. Only the kernel session are brought to the hiberfil.sys and user session aren’t brought. Doing this will dramatically improves the boot load or boot time and we can experience extreme fast booting of the Operating System. But hybrid booting have several disadvantages. If you are using multiple OS on your PC then you cannot access your drive from another OS if it is hibernated. So in that case you should do full shutdown of your PC. 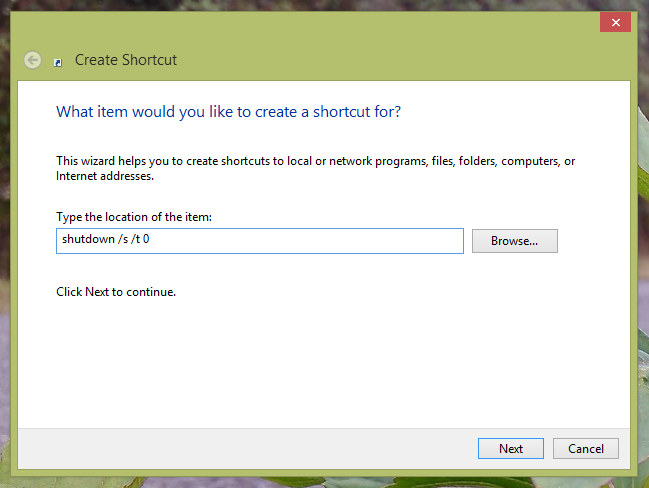 In Windows 8 series we cannot see different options for different shutdown likewise in Windows 7. 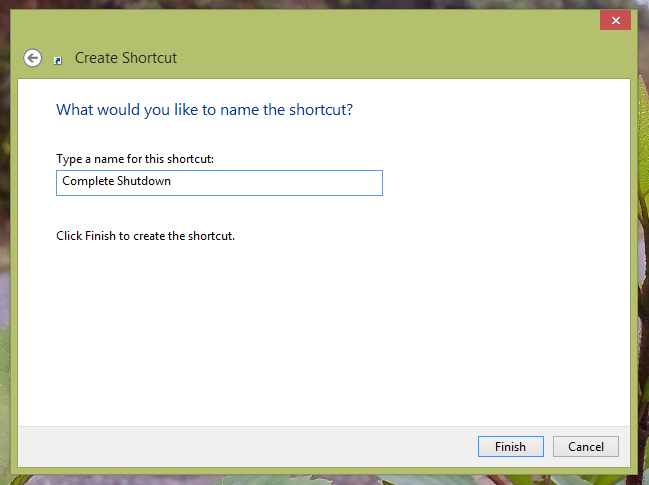 If we want to do full shutdown or complete shutdown on Windows 8 then we need to create a small shortcut file to do a full shutdown. 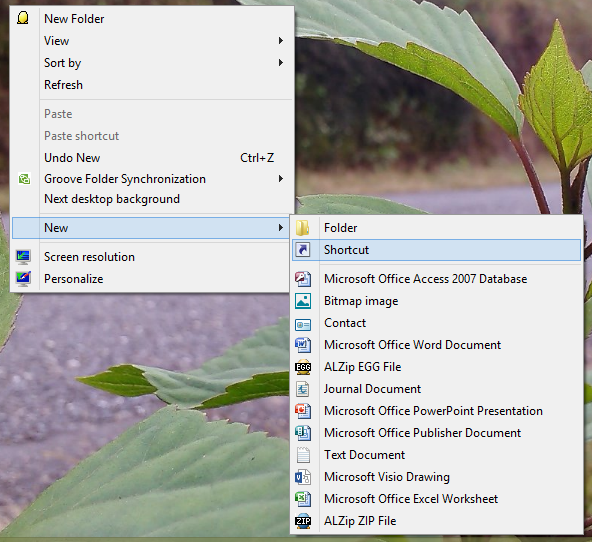 Here is how to create a file to make full shutdown on Windows 8. First of all right click on your desktop and hover on New and click on Shortcut. Click on next and give a next to shortcut. Now click on finish. You can check stepwise screenshot below for your easiness. Whenever you click on the desktop your PC will go for the full shutdown. You can change the icon of the shortcut file to make it look attractive and look like shutdown. Also you can pin it to the start menu to make it appear on the start screen.